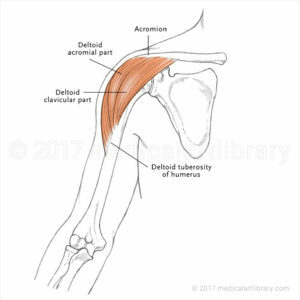 The deltoid, teres major, teres minor, infraspinatus, supraspinatus (not shown) and subscapularis muscles (not shown) all extend from the scapula to the humerus and act on the shoulder joint. 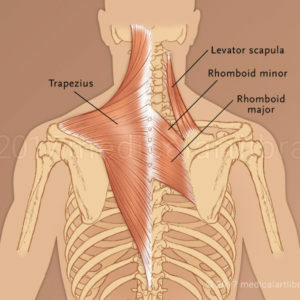 The trapezius and latissimus dorsi muscles connect the upper limb to the vertebral column. 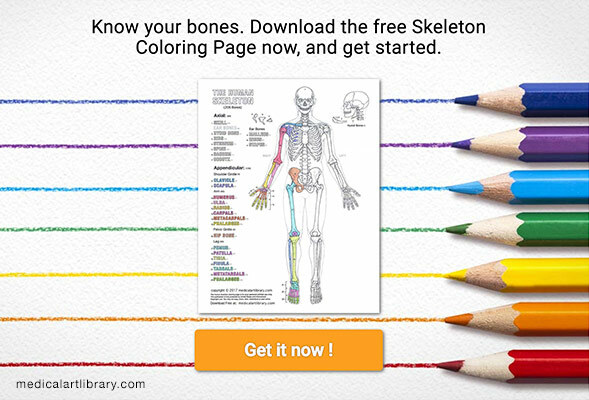 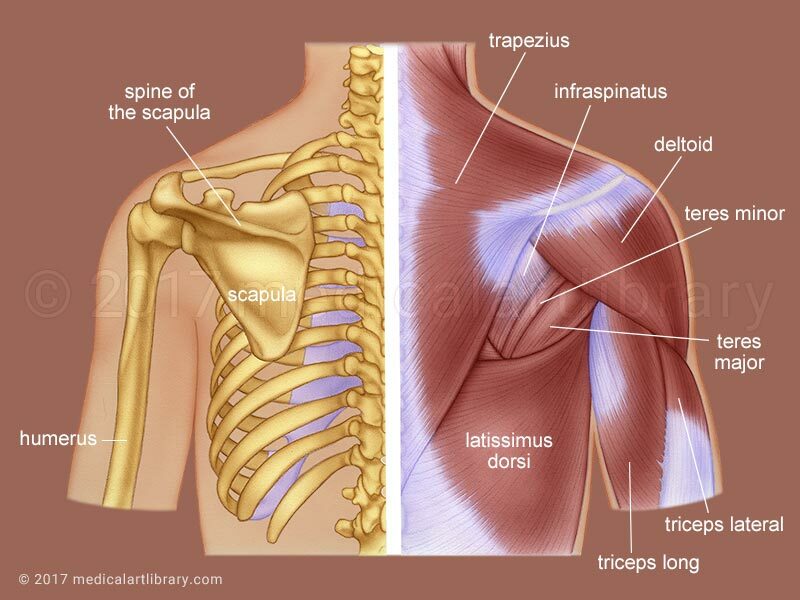 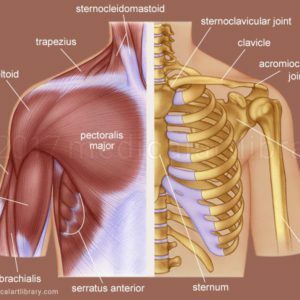 Both the deltoid and the trapezius are firmly attached to the spine of the scapula.